Articles, news, and stories about golf club professionals from Hole In One International. Golf Tournament Ideas: Here’s One – Hire the Pro! Looking for golf tournament ideas for your next outing? Here’s a great one, especially for non-profit organizations and/or charity golf events: a “Hire the Pro” golf contest! Hole In One International is here to explain how the contest works, as well as how it can help you increase those valuable fundraising dollars! Once you have chosen the golf course, golf club or country club where your golf tournament will be taking place, coordinate with the staff to provide you with one of their on-site Club Professionals who is willing to be stationed at the longest/most challenging hole on the golf course. It’s important to make sure that this particular Club Pro is skilled at making long drives. Next, while players are playing the course and happen to come across the designated ‘Club Pro’ hole, have your players decide whether or not they would like the Club Pro to take their shot for them (just make sure to choose a hole where no insured hole in one contest or Million Dollar Shootout will be taking place; otherwise, those policies will become void). 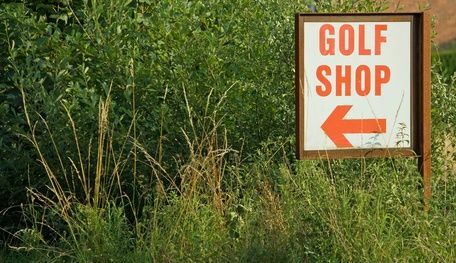 Players will be charged a dollar amount of your choice, depending on the size of your golf tournament and the charity (if applicable)’s needs, if they decide that they would prefer the Club Pro to take the shot for them. If the player’s team could benefit from shaving some points off of their score, a drive taken by a professional might come in handy and be worth the $X for the advantage. Furthermore, if they see that the other teams are utilizing the Club Pro, the pressure will be on, likely resulting in the decision to pay up for the Club Pro’s shot. Not to mention if the money’s going towards a good cause, that’s also an added incentive! Do the math: If you have a full field of 144 players and every single one of them decides to pay $30 for the Club Professional to take the shot for them, that’d be an automatic $4,320 raised towards you and/or your sponsor’s cause! Don’t want to use the contest as a fundraiser? No problem! Take that money and deduct it from the other costs of your golf tournament (food and beverage, golf goodie bags, cost of utilizing the course, etc.) and you’ll find that you’ve ended up paying a whole lot less for the outing! Are you a big-named company with cash to spare or a renown celebrity golf tournament? Up the ante tenfold by hiring a Touring Professional to take the shot instead and feel free to charge more! Use these golf tournament ideas and utilize the ‘pro’ factor in any way, shape or form you can think of to maximize profits! Looking for more golf tournament ideas? Contact Hole In One International today at 800-827-2249 or email us for more pointers! Good luck and be sure to let us know if you end up implementing this particular golf contest — we’d love to hear about it! Just post to our Facebook page if you’re a fan or send us a Tweet!